Travis Benjamin of Morrill (17) races alongside Cassius Clark (77) of Farmington in the early stages of the TD Bank 250 on July 21, 2013, at Oxford Plains Speedway. A bare frame will become a Super Late Model race car over the course of three days during the 31st Northeast Motorsports Expo at the Augusta Civic Center. The event opens at 4:30 p.m. Friday and continues through Sunday afternoon. Steve Perry, the owner and director of the expo, came up with the car-building idea, which will serve as a charity fundraiser with the Maine Special Olympics the primary beneficiary. Stock car and Modified racer Jacob Dore of Sanford will oversee the construction, and will drive the finished product in five races in Maine and New Hampshire this coming season. “It’s something I’ve always wanted to do. This is a good opportunity to raise money for charity,” said Perry, the owner and host of the Mainely Motorsports television show. Several race crews will take turns working the car, and a Special Olympian will be on every crew. Perry said visitors at the expo will be able to ask questions during the process. Dore, a longtime friend of Perry, will also exhibit a Modified car that he will drive in four races in 2019. 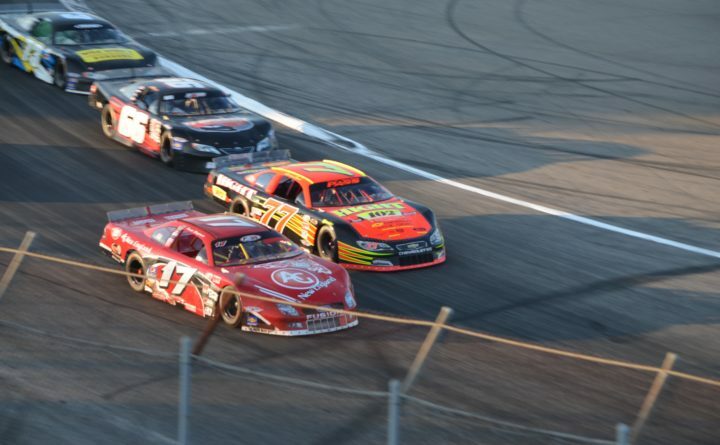 The sponsorship money that raised for Dore’s five Super Late Model races and four Modified races this year will go to the Hometown Foundation, which will distribute the money to charity, primarily the Maine Special Olympics. Sponsors will have their logos displayed on the cars. “Any race winnings will also go to charity,” Perry said. The Expo runs from 4:30 to 9:30 p.m. Friday, 10 a.m. to 9 p.m. Saturday and 10 a.m. to 3 p.m. Sunday. Two of the instructional sessions planned include a Spotter Seminar and a Hot Spots discussion. The Spotter Seminar will feature Shawn Waddell, the owner of Waddell Communications. Dolly Mechalides, spotter for Pro All Stars Series national champion Derek Griffith of Hudson, New Hampshire, and Griffith will also participate. The Hot Spots session will bring together members of the media discussing the most popular subjects in Maine auto racing. Perry said the auto racing climate in Maine is healthy, even though two racetracks, Unity Raceway and Spud Speedway in Caribou, remain closed. Those still operating are Speedway 95 in Hermon, Wiscasset Speedway, Oxford Plains Speedway and Beech Ridge Motor Speedway in Scarborough. Perry said the track closures can be attributed to the fact there are not enough people racing cars to be able to keep all the tracks financially viable. “There are so many other options now — like activities involving your kids or grandkids,” he said.